At Vale Press we take our environmental responsibilities very seriously. 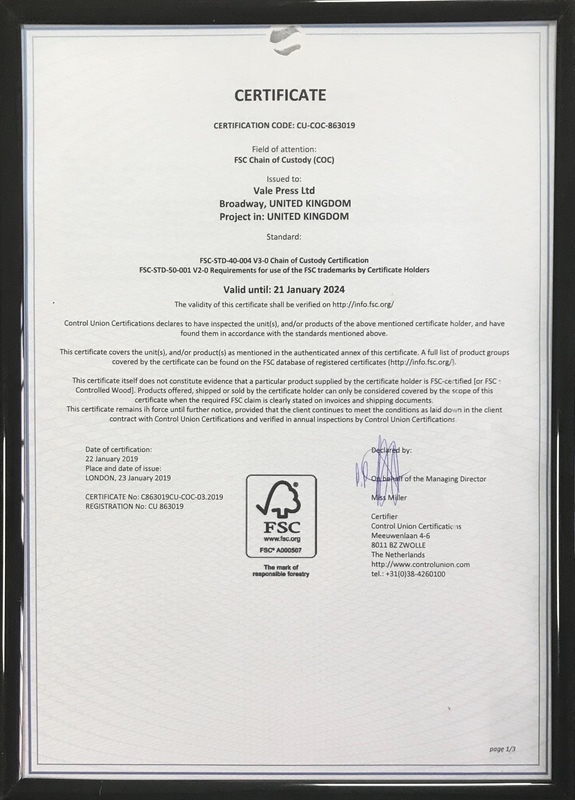 We're proud to be registered ISO14001 (Environmental Management) and can now add our certification under the FSC "Chain of Custody". FSC stands for 'Forest Stewardship Council', who are an international non-profit organisation dedicated to promoting responsible forestry. FSC certifies forests all over the world to ensure they meet the highest environmental and social standards. 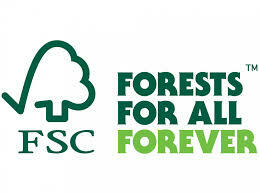 Products printed on paper from FSC forests are marked with the ‘tick tree’ logo. When you see this logo, you can be confident that buying the goods won’t mean harming the world’s forests.